George Arnold bought his Chicago bungalow in 2009. This fixer-upper needed a lot of TLC, but was in a good neighborhood. He'd found a diamond in the rough. Arnold set to work bringing the home back to life through a series of major renovation projects. Soon after, his mother's health took a turn for the worse. "I kept my mother out of the nursing home for two years before she passed away," he recalls. His devotion to his mother is admirable — but it caused him to fall behind on bills. To avoid losing the home and all the money he'd invested, Arnold agreed to sell his home to an investor. He'll rent it from that investor for two years with the option to purchase the home again at a fair market price. Losing your home to a foreclosure or tax sale is not the only option for struggling homeowners. A short sale lease-back allows a homeowner to sell their home and lease it back from the new buyer, forming a landlord-tenant relationship that lasts for the term of the lease. There are several ways to get a short sale lease-back on your home. We'll discuss three below. Struggling homeowners might be able to save their homes by selling the home to an investor before the foreclosure. Investors looking for rental property profit from the steady income and potential discounted purchase price. The short sale will have to be approved through your lending institution. Once approved, the homeowner can avoid a credit-crushing foreclosure, rebuild their credit in the ensuing years, and stay in the home. At some point in the future, the previous homeowner and investor can negotiate a fair sale price. This allows the homeowner to recover their property and the investor profits on the sale. Homeowners can also check on lease-backs available with their mortgage lenders. Some lenders or mortgage holders will accept a lease-back arrangement in lieu of foreclosure by handing over your deed. In this situation as well, a suitable purchase arrangement can be worked out in the future once the homeowner has been able to recover financially and can qualify for a loan on the original home. Homeowners can also turn to nonprofits that are approved by the Department of Housing and Urban Development. These HUD-approved nonprofits have been given the green light to conduct lease-back transactions after a 2011 change in the Making Home Affordable program. Homeowners may be required to attend financial management training as a requirement for participating in a short sale lease-back program through HUD-approved nonprofit organizations. Homeowners facing foreclosure can be particularly susceptible to mortgage rescue scams or people who will take undue advantage of a homeowner's distress. Sellers attempting to avoid foreclosure must be diligent to ensure they are dealing with reputable people or businesses. 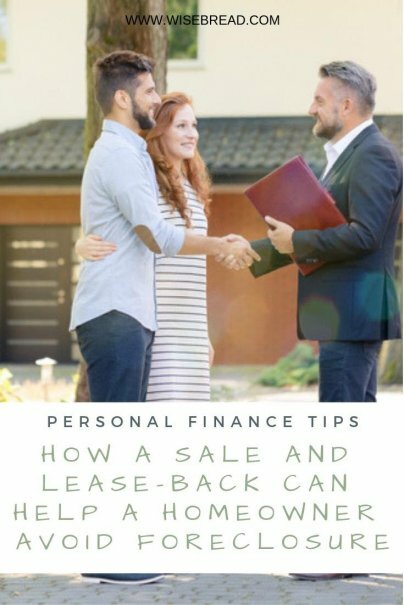 Shawn Kunkler, Realtor with Paragon Real Estate Group and author of the Insider's Guide to Home Buying, San Francisco Edition, advises homeowners to work with a real estate attorney to set up a proper lease-back agreement. "This is not difficult to include, but does need to follow the correct protocol," he says. Each state may have specific requirements that need to be followed. It's best to work with a real estate attorney who has experience with short sale lease-back transactions. Contact the Bar Association for your state for referrals. Homeowners fall behind for many reasons. If you're able to avoid a foreclosure with a short sale lease-back agreement, resolve to keep this new agreement. Make that a priority. Kunkler notes that if an agreement is going to fail, it's most often because the leasing party fails to honor the agreement.